LOS ANGELES, CA – PRISM COMICS is now accepting submissions for this year’s QUEER PRESS GRANT. The Prism Comics Queer Press Grant is specifically awarded to independent queer comic book creators. The Grant was established by Prism Comics in 2005 to assist in the publication and promotion of Lesbian, Gay, Bisexual, Transgender, Intersex, Asexual (LGBTQIA) comics and has fostered many important works. Comic books, comic strips, webcomics and graphic novel projects are all eligible. Entries are judged first and foremost by artistic merit, followed by concerns such as financial need, proposal presentation and the project’s contribution to the LGBTQIA community. the 2016 Queer Press Grant, will be taking over the position of PRISM COMICS QUEER PRESS GRANT CHAIR. “Given the results of the 2016 election, it is more important than ever to elevate the voices of queer cartoonists, gaining exposure for them, and hopefully inspiring others. 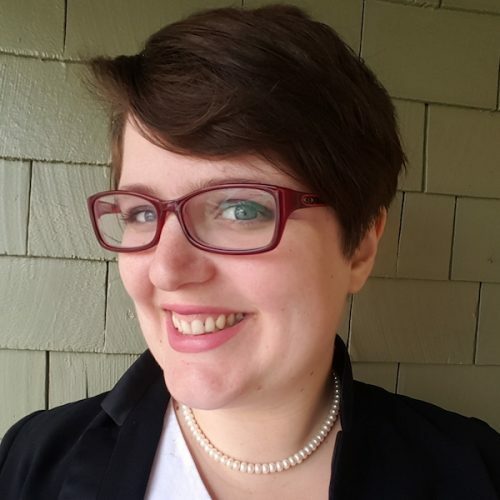 I’m excited to help the Queer Press Grant move forward, and shine a spotlight on stories from the LGBT community” says Elizabeth Beier, Prism Comics Queer Press Grant Chair. Elizabeth will also be interviewing queer comics creators to create profiles of them for the Prism Comics website. Submissions close March 1, 2017 at 5 pm PST. Entries are judged first and foremost by artistic merit, followed by concerns such as financial need, proposal presentation, and the project’s contribution to the LGBT community. They are reviewed by the Prism Board, past recipients of the Grant, and Prism’s Advisory Board. The $2000 Queer Press Grant is funded by donations from comic book professionals and readers and the fundraising efforts of Prism Comics members. 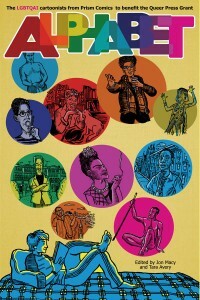 And buy ALPHABET, the full color Anthology from Stacked Deck Press and editors Tara Madison Avery and Jon Macy. ALPHABET features all-new, full-color comics works from over 45 creators who have received and submitted to the Queer Press Grant. GET YOUR COPY TODAY. A generous portion of sales goes to support the QPG. Prism Comics is an all-volunteer, non-profit organization founded in 2003 to support and promote LGBTQ comics, professionals and readers.